The power of volunteering can truly transform and empower a community, and the top places to volunteer near Westchester, NY, do just that. 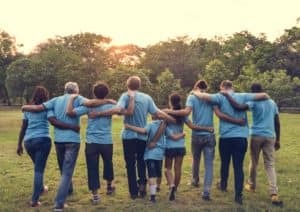 If you’ve been looking for a way to give back and volunteer your time, these are outstanding organizations to work with. 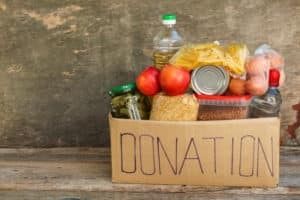 Hillside Food Outreach began as a humble not-for-profit food pantry in 1997, focusing on the needs of 20 elderly people in New York and Western Connecticut. These people were in need of food assistance but did not have access to local food pantries. Today, Hillside has over 300 volunteers and serves over 2,000 residents in need. You can get involved by making a donation, or better yet, by volunteering. Delivery volunteers are an important part of ensuring neighbors get the food they need. A delivery orientation will be required to become part of the crew that brings food to those who need it most. You can also participate in a Westchester Pack Night, packing grocery bags with family, friends, or colleagues. This information and transportation services provides transit options for older adults (60+) in Westchester and Southern Putnam Counties. Those who need a ride can choose to ride anywhere, whether it’s to the hairdresser, grocery store, an event, or doctor’s appointment. RideConnect seeks volunteers who can provide rides to older adults, the disabled, and home healthcare workers. These rides can ensure older adults are able to have access to medical appointments and shopping, so they are able to remain active. As long as you have a valid driver’s license, reliable vehicle, and flexibility, you can be an asset to those in need! Across the country, over 500,000 RSVP members age 55+ are giving their time and sharing their knowledge to solve community concerns. Over 900 volunteers are part of the RSVP of Westchester program, making an impact in the areas of education and literacy, health, and finance. Help to improve student performance, ensure individuals receive job training, and assist veterans and their families. As part of this program, you may serve at organizations such as Hillside Elementary School, Hugh Doyle Senior Center, New York Presbyterian/Lawrence Hospital, Spellbinders, Volunteer New York!, and the Westchester Library System. Volunteer benefits include transportation reimbursement, supplemental liability insurance, annual recognition events, and access to a volunteer e-newsletter. Find a volunteer opportunity you love, and give back to the community you care about. With these top spots to volunteer near Westchester, NY, you have many ways to give back and help others.